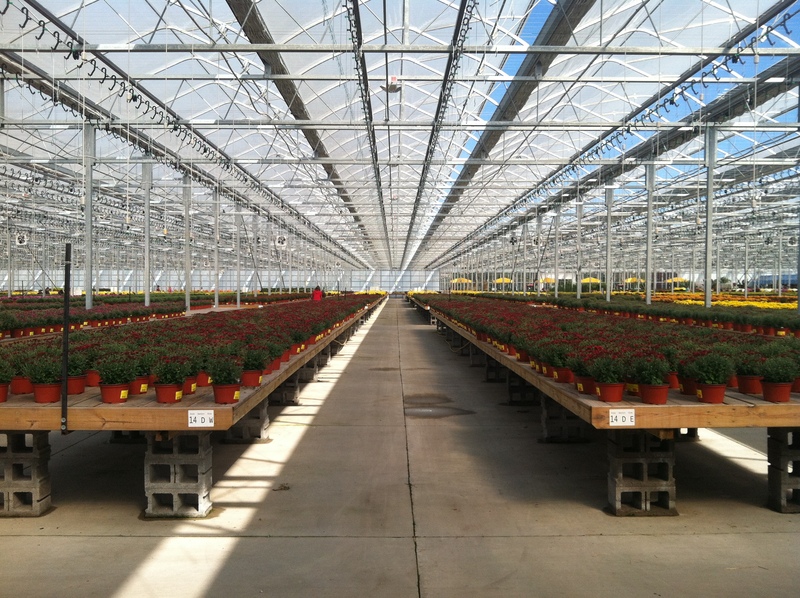 Question: How does a 1st generation farmer expand from 1 greenhouse in 1982, to 20 acres of greenhouses today? Answer: By using innovative and efficient farm practices, effectively managing costs, compromising when needed, fostering a team atmosphere, and above all, maintaining a positive attitude throughout the process. Our path this session was different than our prior trips around the Commonwealth of Virginia. Session VII was our US National Trip, a 5 day excursion to Indiana, Chicago, and Michigan. 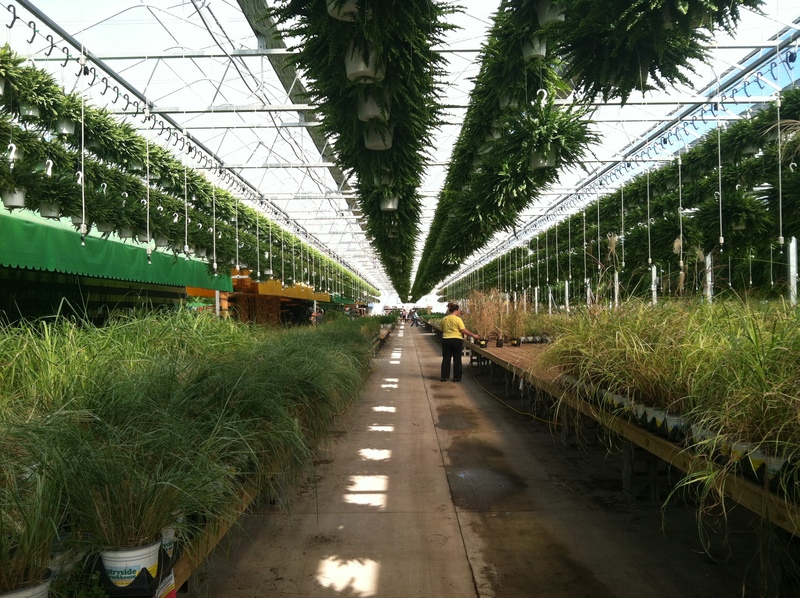 While in Michigan, we stopped at Countryside Greenhouses, owned and operated by Dale and Colleen Buist. Dale conducted the tour and his unbridled enthusiasm for agriculture and his agribusiness was infectious from the beginning. 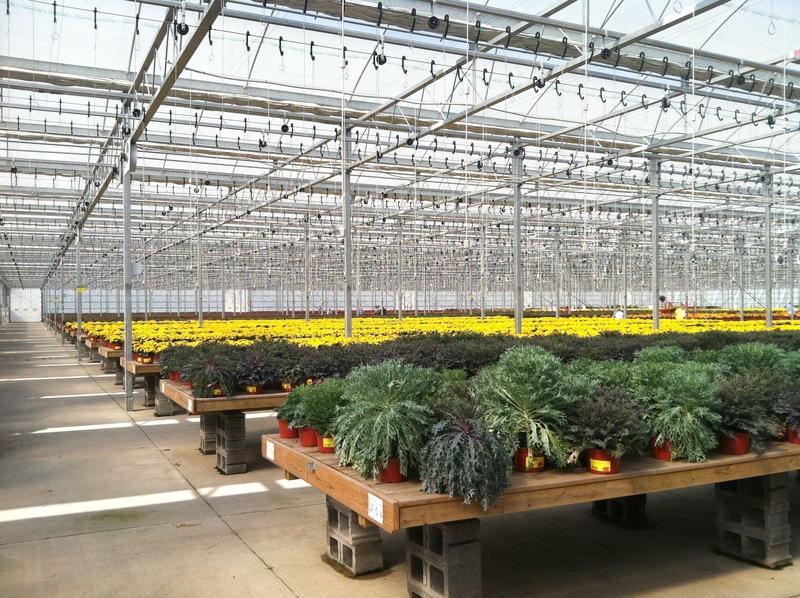 Countryside began as a wholesale greenhouse operation. 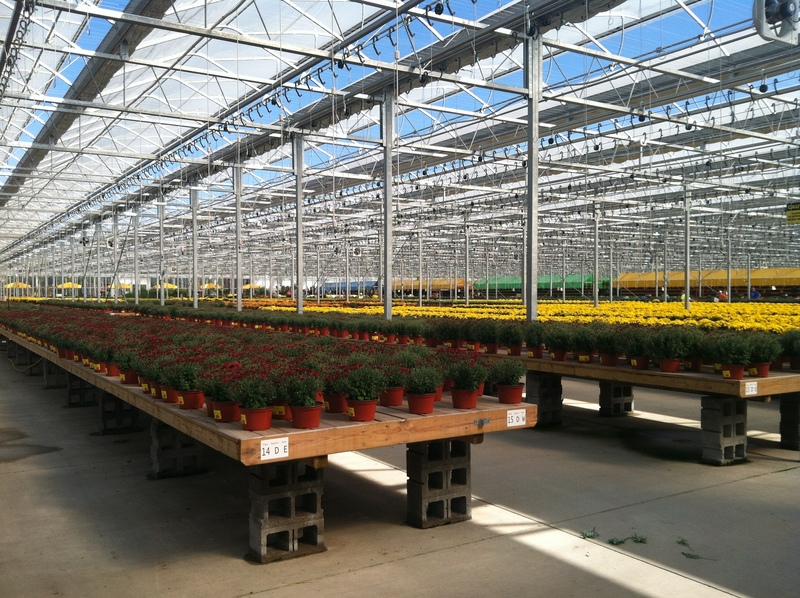 The business was prosperous in the 80’s and 90’s as it expanded to 10 acres of greenhouses. They also introduced a market on the side for direct sales. Their marketplace continued changing as the introduction of point of sale (getting paid when the retailer sells and scans the item) caused a strain to their bottom line. In 2004, Countryside converted to a direct market operation with on-site sales. Their retail sale site continued to grow, to the point where a new location was needed. In 2013 they opened a brand new, state of the art facility that includes 8 acres under greenhouse cover, and 24 checkout lanes. There are several factors that attribute to the success of this operation. Countryside embraces a teamwork approach where employees care about their work and do their best. When faced with regulations and challenges, they compromise when they can and ask “how can we work this out”? When asked about labor challenges as a result of health care reform, Buist states “I’ll figure out a way to make it work”. The underlying theme in all of these factors is the power of a positive attitude. A superior attitude and superior state of mind is the most important key that has fueled the success of Countryside Greenhouses, in my opinion. We wake up each day and have a choice. We can: 1) let challenges and adversity create a negative attitude within us, or 2) approach the day with a positive attitude and take adversity in stride. This is yet another late-night blog post by VALOR fellow Ken Ryan. Follow me on the social media outlets of: The VALOR Blog, Facebook site, and Twitter. There were many good quotes from this visit – VALOR fellows: if there are others I missed, feel free to comment at the end of the post. Kenna P – Thanks for posting! So nice to hear that your seminar went well! Its great to read about it hours/days after as opposed to, well, longer… And I choose the latter of your two propositions. Great post, Ken! This visit was a high point in our trip. Nice write-up and awesome pics! There were great quotes, captured in writing by Ben and others, and now less articulately recalled by my fatigued brain. Great post. Enthusiasm and attitude are so important. In Agriculture and every day.